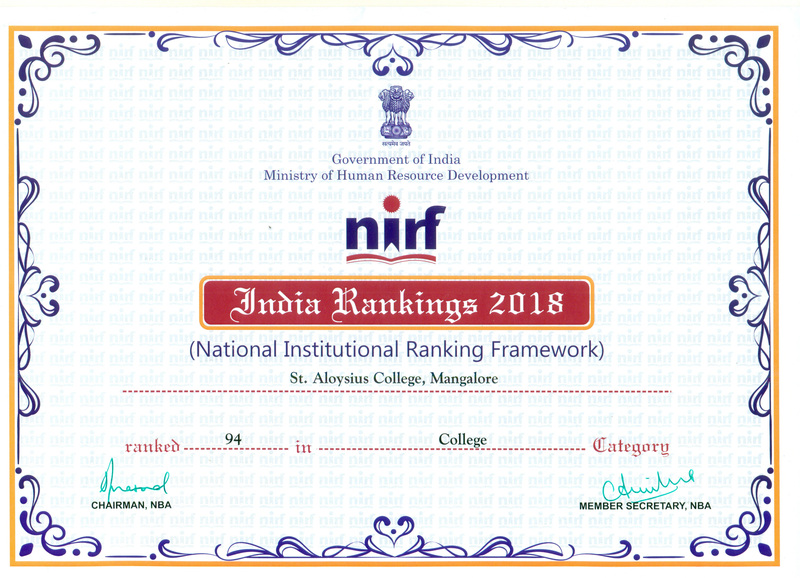 The Ministry of Human Resource Development released the NIRF rankings, as per which St Aloysius College (Autonomous) Mangaluru in Karnataka is ranked No. 44. 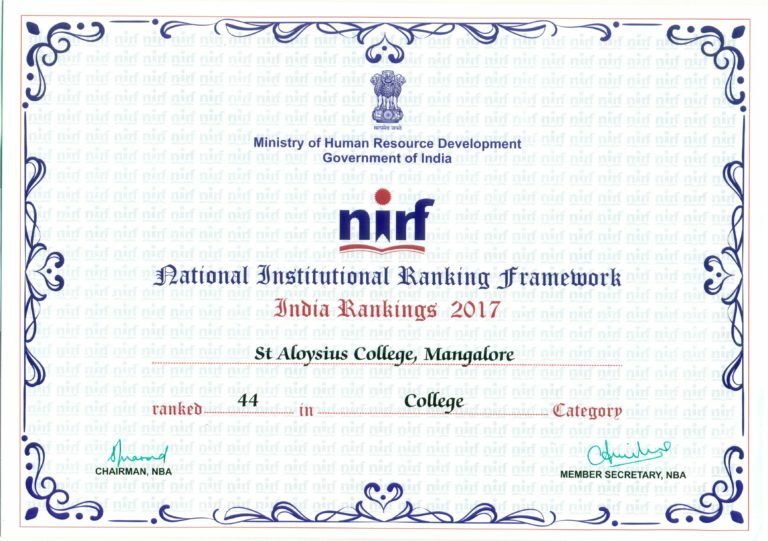 St Aloysius College is in 44th position out of more than 45000 colleges in the Country. Second place in Karnataka.